In a day when so many churches are changing their music ministries toward a more contemporary and worldly approach, we have made a firm decision to remain traditional, conservative, and Biblical in our worship. In our music ministry, we strive to lift up and exalt the name of Christ. We believe that doctrinally sound music with a spirit of revival will encourage and challenge God’s people to worship and serve Him. In each service, our song leader stands and leads the congregation in the singing of hymns of praise from an old-fashioned hymn book. 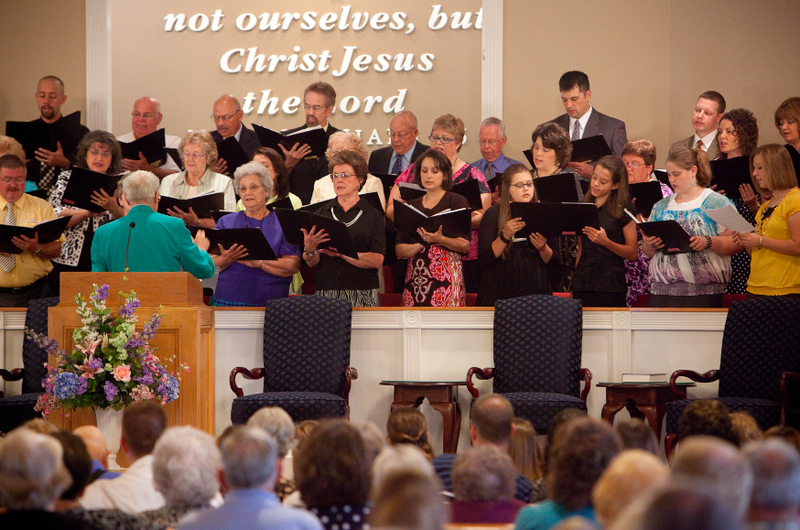 At Ripley Baptist Temple, there are opportunities for our members to serve in the music ministry through the children’s choir, teen choir, and adult choir. Various opportunities also exist for our members to be part of ensembles, groups and other forms of special music. From time to time we will have special groups in to sing. In the past we have had local groups as well as travelling college groups sing in our services. We are certain you will find our traditional style of worship to be an uplifting encouragement to you.